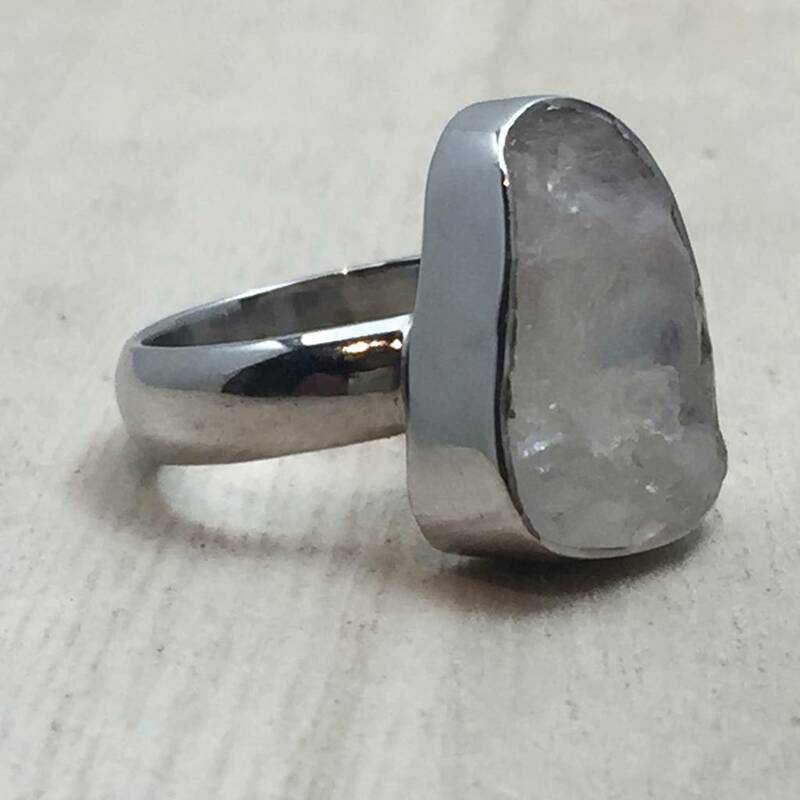 This stone's flash shines so bright, it doesn't even need a polish! 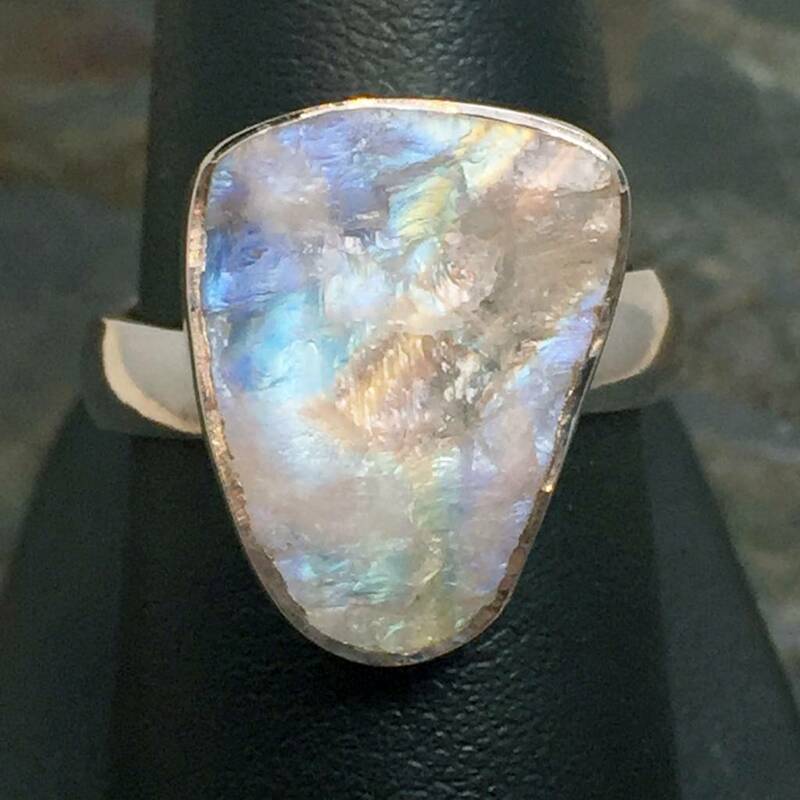 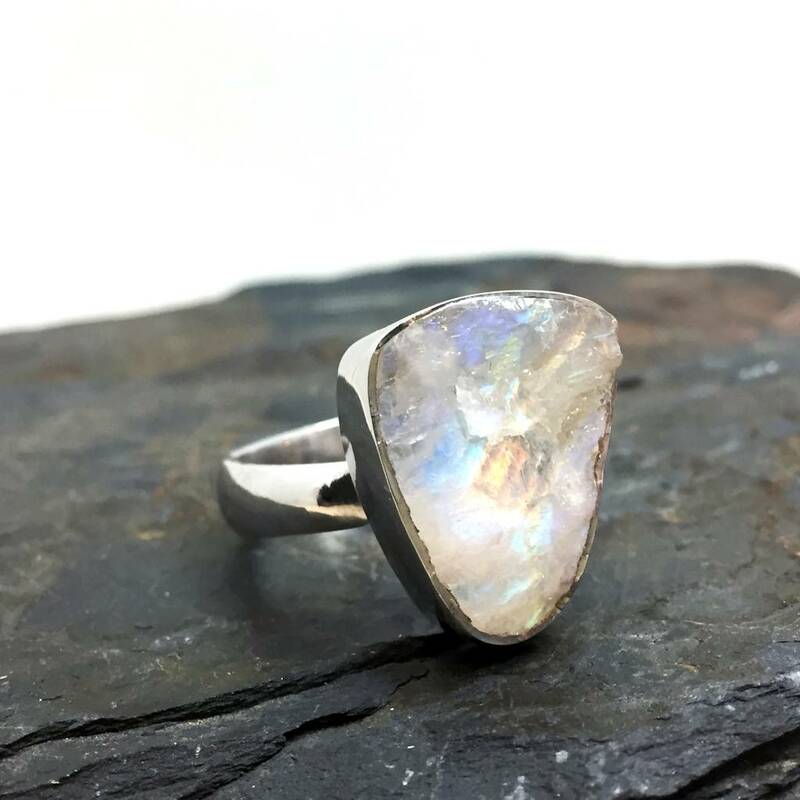 For the rockhound who admires the personality in a stone's natural texture, this ring couldn't be more perfect. 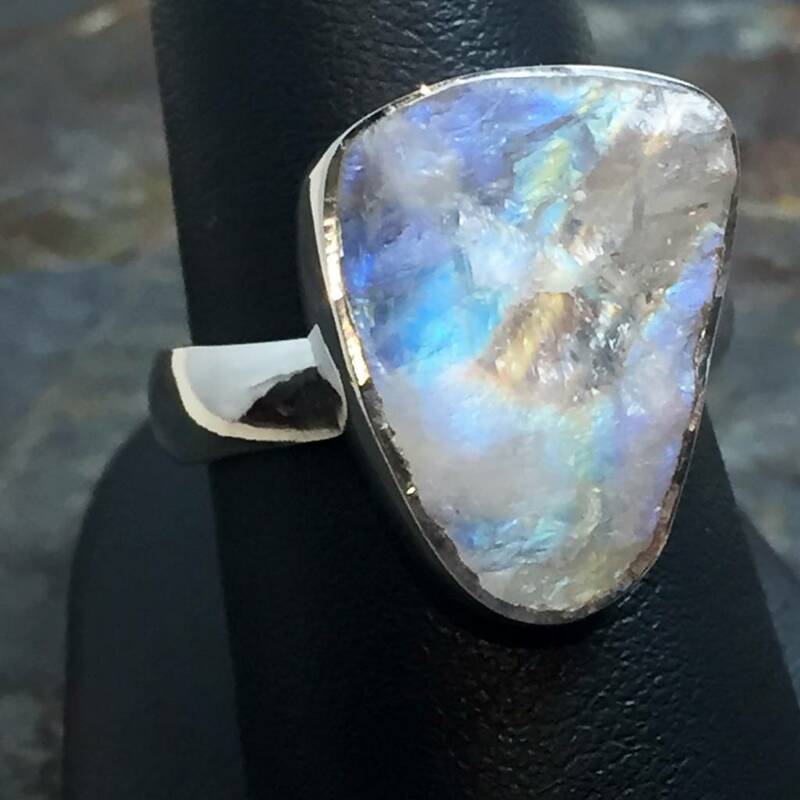 Open in the back, the triangular freeform features a strong Sterling Silver seated bezel with wide comfort-fit, open-ended band in a size 8.